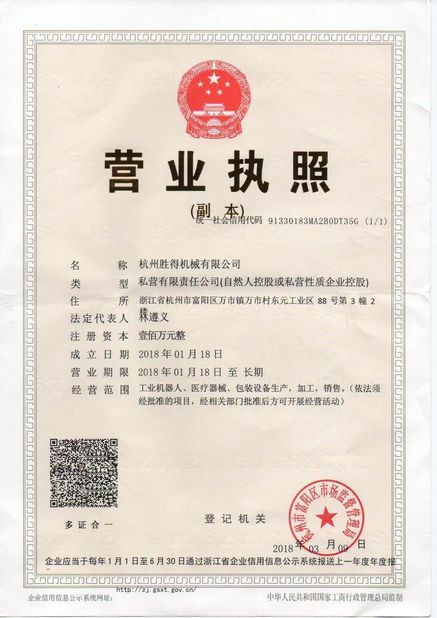 Applicable for equipment and devices requiring high temperature sterilization and dry cooling process for products like sterile clothing and filling apparatus,which are usually equipped in areas where sterilization requirements reach Level 100 and other areas requiring high environmental standards. It has been widely used in pharmaceutical,medical,and scientific research projects. 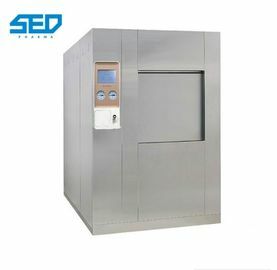 Damp heat quick sterilizer is equippde with electric heater,sterilization timer,automatic temperature control pressure regulator,a safetyvalve,steam valve,pressure temperature indicator and sterilization and alarm and automatically cut off the heating power supply device.The sterilizer has the advantages of reliable.Sterilizing effect,convenient operation,safety in use,electricity saving, durability,ang higli cost performance.It is the ideal disinfection and sterilization equipment for medical ang health,scientific research and other units of surgical instruments,dressings,utensils,culture media. Suitable for operation room,emergency room,ophthalmic,gynecology,department of stomatology,laboratory and beauty salon of metal instruments,vacuum equipment,glassware,media,silicone tube,kits,equipment and tampon dressings. The equipment adopts horizontal rectangular structure, equipped with chamber made by high-quality 304/316L acid proof stainless steel and cover plate made by brushed stainless steel. Seal door adopts pneumatic door. Simultaneously, the equipment has GMP standard verification interface for uses to verify at any time. It adopts PLC+touch screen system. this system detects temperature precisely, run steadily and has complete sterilization recording function. Optimized configuration in the industry is adopted. Main components include high temperature pneumatic valve and vacuum pump and etc. 1. The cabinet: is composed of an inner layer, an outer layer, insulating layer. 1) lining: the sterilization chamber, high-quality 316L stainless steel, polished inner surface precision machinery, smooth and no dead ends, meet the GMP requirements of the biopharmaceutical industry. 2) jacket layer: Preheat boiler steam and dry, durable. 2. The sealing door: motorized door with safety interlock, two-door interlock function. 1) safety interlock: The equipment comes with complete safety interlock devices: the door is not sealed and not allowed into the steam chamber; the chamber pressure is not allowed to open the door. Full compliance with national standards for the relevant departments of the safety interlock pressure vessel. 2) two-door interlock: According to GMP requirements with a two-door interlock function to ensure the direction of the different regions of isolation and logistics. 3. Decorative cover: brushed stainless steel plate, nice and easy to clean. Pipeline system consists of pumps, control valves, filters, connection fittings and safety valves and the like. 1) Into pure steam, Air valves: both for the inner energy valves, 316L stainless steel body, to ensure cleanliness in the room. Germany imported goods, the service life of up to 400 million times, remote central pneumatic control. 2) Other valves: US imports ASCO 2000 pneumatic angle seat valve, the service life of 4,000,000 times, remote central pneumatic control. 3. Filter: 0.22um sterile filtered, to avoid secondary contamination of sterilized items. 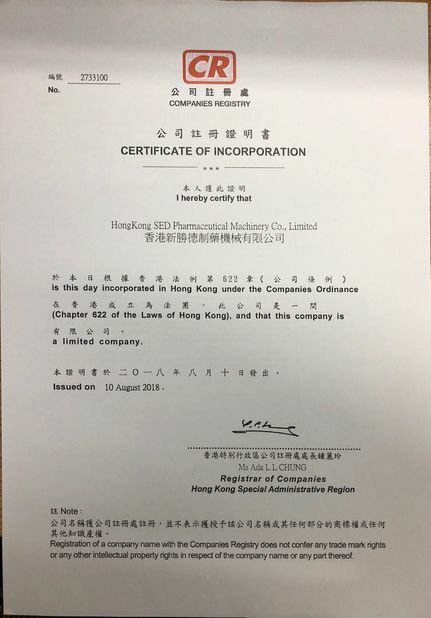 1) Inner energy pipeline: 316L polished internal and external quality control, to ensure the cleanliness of energy, full compliance with GMP requirements. 2) Pipe connection: quick - clamp connections. 1. Equipment electrical control system is mainly composed by the computer touch screen, the main controller PLC, and other control components, control system focuses on stability, reliability, scientific management and operation easy. 2. the main controller PLC: Siemens imported, MTBF 50,000 hours. 3. sterilization data records: temperature, pressure, or U disk storage reports for your records. 4. telecommunications :( optional) PLC can communicate with a computer in real-time, automatically generated reports and sterilization operation interface on a computer to facilitate unified management of the modernization of the plant.